It’s been another interesting start to the session on Wednesday, with European bond yields being spooked higher, oil extending its gains and gold and the pound taking a breather following yesterday’s substantial moves. Reports that the ECB is considering reducing the amount of bonds it buys each month has initiated a European led taper tantrum this morning, with yields rising across the board on fears that the backstop that the rally has been built on is on the retreat. We saw a similar reaction when the Federal Reserve first hinted at tapering back in 2013, the difference being that the US was on the road to recovery so tapering was warranted. This, assuming reports of tapering are correct, appears a response to a shrinking pool of government debt to purchase and an inability to get around it, as opposed one to an improving outlook. I think it’s worth noting that even if the ECB is considering the path of tapering, that doesn’t mean it’s going to happen any time soon. The ECB is still likely to extend the deadline of quantitative easing beyond March next year and could even increase the size of the program, if it finds a way to overcome the issue of debt availability. Whatever the case is, ECB President Mario Draghi and his colleagues will likely be pushed for answers in the coming weeks and in the absence of a suitable response, today’s moves will likely continue. Should reports of tapering be true and be being considered in the coming months, the ECB will need to have another ace up their sleeve to avoid a full scale taper tantrum. We’re seeing further gains in oil this morning, driven by Tuesday’s inventory number from API, which reported another drawdown last week, of 7.6 million barrels. Should this be confirmed by EIA today, we could see both WTI and Brent crude trading above $50 and at their highest levels in three months. The rally has so far been built on a rather flimsy output deal by OPEC but when combined with five consecutive declines in inventories, these levels may well be justified and suggest the market is becoming more balanced. Gold has pared Tuesday’s losses early in the session today but the gains look more like a dead cat bounce than anything more significant. We could easily see take another turn lower in the coming sessions which could bring $1,250 back into play  for the first time since June. 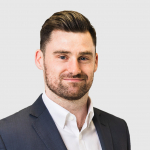 Sterling is also paring Tuesday’s moves having taken another swing lower following Theresa May’s commitment to trigger article 50 by the end of March and Philip Hammonds bleak assessment of the economic outlook for the UK. While it has found support around 1.27 against the dollar, there doesn’t appear to be much bullish appetite at these levels and so we could see in take another turn lower in the not too distant future. If so, we may see the pound trading back around 1.25 against the dollar before too long . 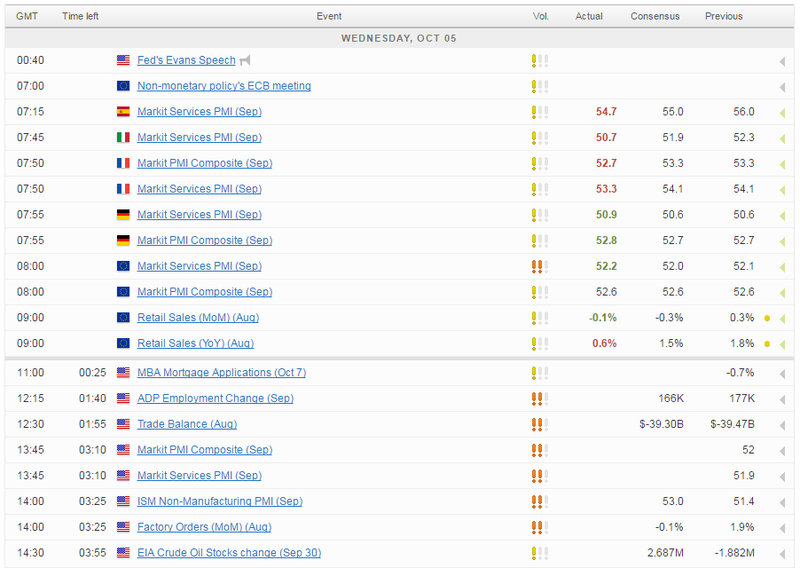 We still have a busy day ahead for the US, with ADP non-farm employment change, services PMI, ISM non-manufacturing PMI and factory orders all to come. On top of this, there’s also speeches from Fed policy makers Neel Kashkari and Jeffrey Lacker, which following yesterday’s hawkish commentary will attract plenty of interest. Neither may be voting members on the FOMC but their views are still very relevant. With yields on US Treasuries creeping higher in recent days, there’s clearly a growing belief that we’ll once again get a December hike.